After many years of hard graft, there is an emerging awareness that this mobile money thing might just catch on! The Economist, long a vocal supporter of the growth of mobile money and its transformative power continues to publish positive articles, however there does also appear to be a groundswell of broader interest. Much of this comes from the exciting news of Apple’s foray into mobile payments of course, but there are also a number of targeted articles on developing economies and the ‘buoyant mobile money market’. This is fantastic for all of the pioneers in mobile money of the last decade, as we bear the scars of believing in an idea before the majority. The ‘idea’ was that we could provide efficient and safe financial services to the unbanked, whilst we made a profit and created a sustainable business. Not many people believed in that idea six or seven years ago but the success of companies like Easy Paisa, bKash and WING Cambodia are proving the doubters wrong. Despite the success of these wonderful companies, there is a ‘dirty little secret’ about mobile money in Asia. Perhaps dirty little secret is a touch too controversial, but the reality is that the success of mobile money in Asia has less to do with mobile, and far more to do with agents. In fact, it would be more appropriate to call the business model ‘agent money’, as the success or failure of this part of the value chain is critical to the operation. A mobile money business must develop an effective distribution network to be successful. Rather than branches, these deposit and withdrawal services are provided by third party agents who may be grocery stores, prepaid airtime resellers or similar. The advantage for the operator is that leveraging agents greatly reduces the fixed costs of distribution however it can be difficult for the provider to control quality and service. Successfully managing this tension between flexibility and quality does take some expertise, and the successful operators have started to master this challenge. Easy Paisa is a joint venture between Norwegian telecom giant Telenor, and the Pakistani micro-finance bank Tameer. Telenor accelerated the joint venture through the acquisition of 51% of Tameer in 2008. Easy Paisa provides mobile money accounts and over the counter services through a network of agents to customers on the Telenor network. bKash is a joint venture formed in 2010 between BRAC Bank, an offshoot of the world’s largest NGO, and an entity formed by Iqbal Quadir, the original founder of Grameenphone. Recently the Gates Foundation and IFC have also become shareholders. 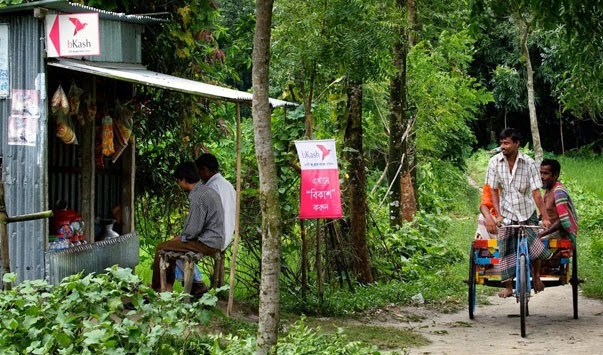 The operation connects into four of the six mobile operators for USSD and SMS services in Bangladesh and provides an agent network throughout the country. WING Cambodia is a payment service provider in Cambodia founded in 2008 that is operator agnostic, providing money transfer services, ATM access and e-commerce facilities to merchants. 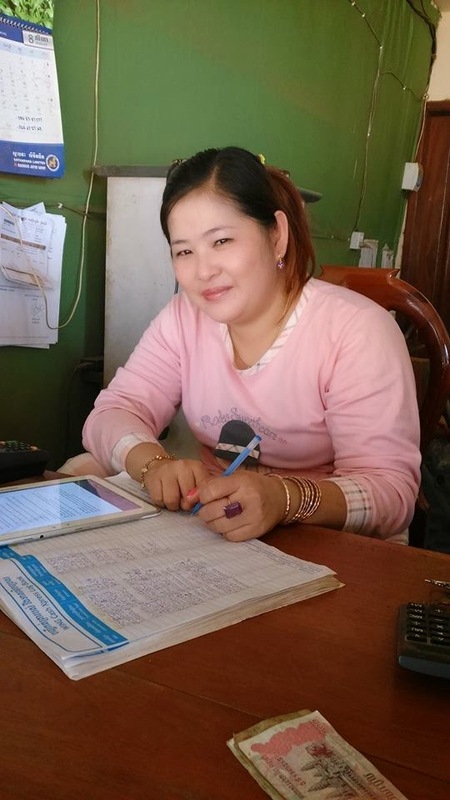 WING also leverages an extensive agent network through every province in Cambodia where customers can do cash in or cash out services, and conduct transactions over the counter. Whilst all three of these businesses have had very different journeys to success, there is one common thread. Over the counter transactions, or OTC for short, make up the vast majority of transactions. In an OTC transaction the agent effectively conducts the transaction on behalf of the customer. The customer does not need a mobile phone however the agents will use their own phone to conduct the transaction. In the case of Easy Paisa, over 70% of customers were not Telenor subscribers but were leveraging OTC, whilst bKash has had over 50% of their customers leveraging OTC transactions. WING launched over the counter transactions in 2011 only after the original shareholder, an Asian regional bank with a conservative risk outlook, had divested its shareholding. Since then it is claimed that OTC transactions make up 90% of their transaction base and have been a significant contributor to its success. Agents become the critical success factor in the provision of this service, and the OTC model appears to work for both the provider and agent as the margins tend to be better, and the volumes higher, resulting in better income and motivation for the agent. Over the counter transactions have become a significant accelerator in each of the markets outlined in this blog. In each market the success of the customer proposition has been based on provision of a high quality, liquid and reputable agent network. The agent proposition has been to provide customer footfall, healthy margins for providing the service, and the ability to leverage support where needed. Whilst the mobile channel and user interface is important for the agent, it is far less critical then it would be to the customer as the agent is getting a return for their service. Whilst all operators are keen to migrate customers to mobile wallets over time, the ability to reward their agent network with transaction volume and income from OTC transactions means that the agent network will continue to be far more important then the mobile channel in emerging markets in Asia for the next few years. As a dedicated and passionate advocate for developing markets financial inclusion, I am excited to see the continued success of ‘agent money’ in Asia. Great blog Brad. It builds on a blog Isaac Ogwal wrote, "OTC transactions are costing Uganda’s providers $220 million per annum. Is OTC stifling active subscriber growth in Uganda’s DFS space?" which prompted much discussion in the LinkedIn Group. http://linkd.in/1q7RXuh. I would be interested to hear you (and others') take on this. That's why it's originally called branchless banking. Thanks for your comment. I agree however the difference with these three operators is that they all started with a 'mobile money' mindset that has evolved over time with market conditions. Interesting article Graham. Thanks for sharing. The goal would seem to be to control behavior at the agent in the short to medium term. Whilst I appreciate this isn't the easiest task the card schemes have also dealt with surcharging in their business models somewhat successfully, particularly when the ecosystem gets to the point that it will hurt the agent if they are removed from it.